The City of Bristol Brass Band were sad to learn that M.D. 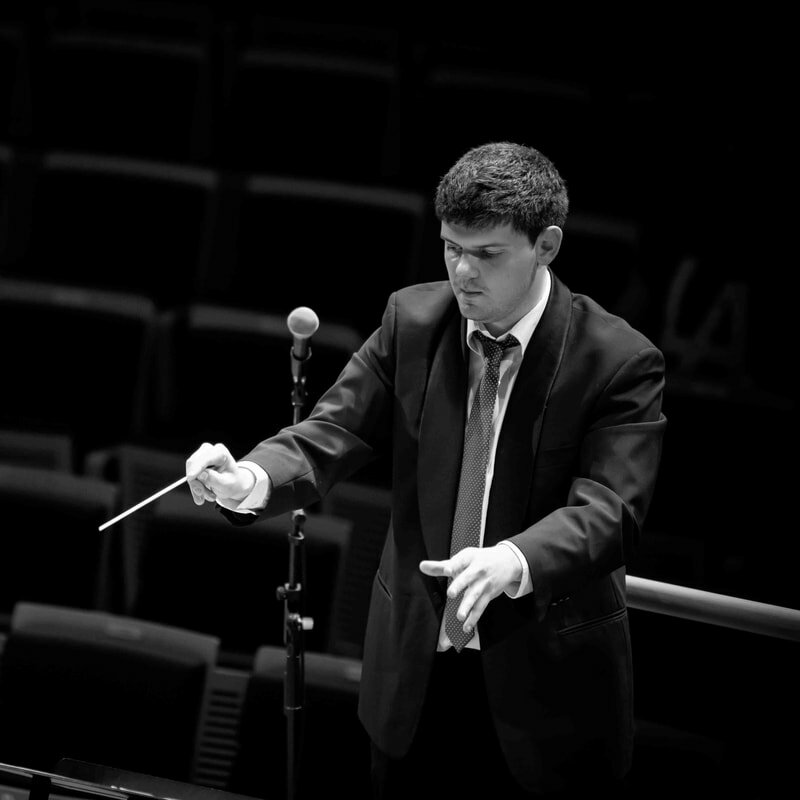 Ian Holmes, a popular conductor from the west country, was taken ill last week and will be unable to conduct them at the Area contest in Torquay. The band has kept in close contact with Ian and send him very best wishes for a speedy recovery. Bryn James came to the rescue taking the band to the Oxfordshire and District Brass Band Association contest on 23rd February, at just 48 hours notice, achieving a creditable 3rd place on only one rehearsal. The band is pleased to announce they have secured the services of Christopher Bond to conduct them at the West of England Regional Championships in Torquay on 9th March. "We were all distressed to hear that Ian was in hospital but are looking forward to seeing him back in the bandroom as soon as possible. We are very lucky to have many good friends in the band community and Bryn James did a fantastic job for us at Oxford and we are now really looking forward to working with Chris Bond in our final preparations for the Regional Championships." 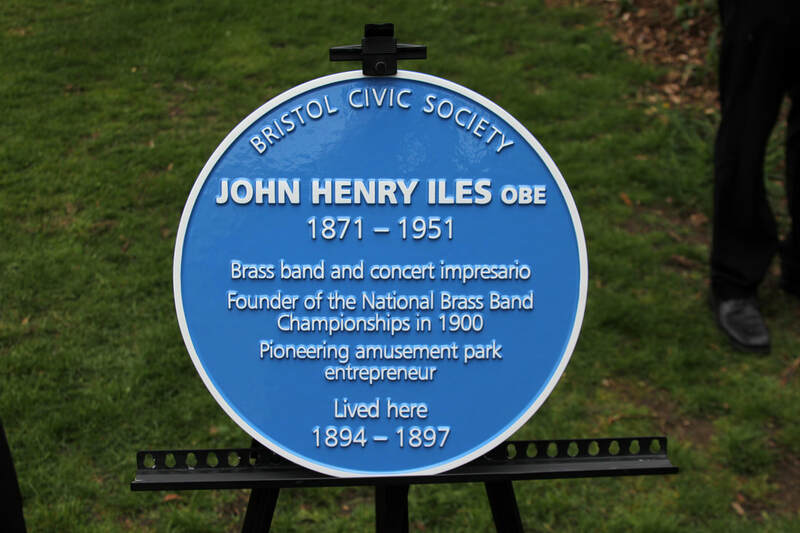 John Henry Iles was born in Bristol and the band played at the ceremony outside his matrimonial home on Sunday 29th April. 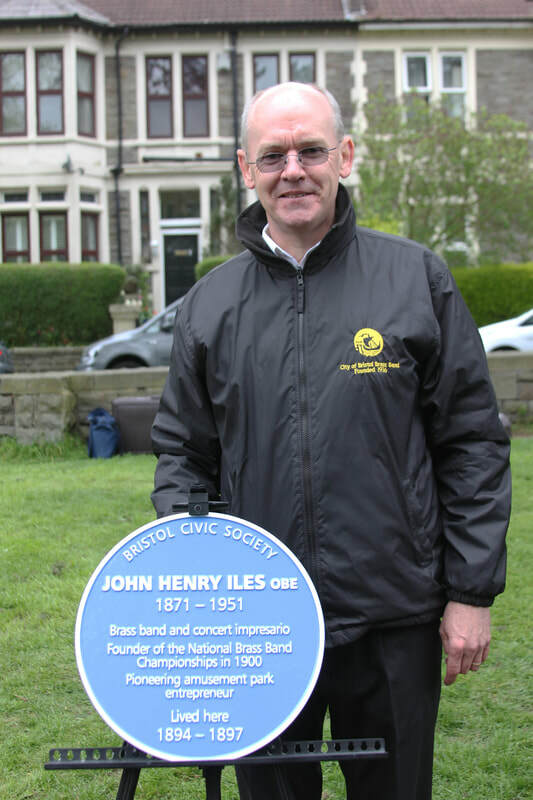 A colourful and diverse entrepreneur, Iles was one time owner of the British Bandsman newspaper, R Smith & Co music publishers and the founder of the National Brass Band Championships. 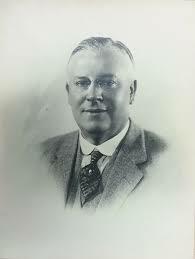 He was also highly successful in the Amusement Park business and became owner of Belle Vue, Manchester and also the British Open Brass Band Championships. It was whilst in Manchester that he fell in love with the sound of a brass band commenting "It is not too much to say that I was positively astounded... I came away from that contest a completely converted enthusiast for their cause". As a result he organised a massed band concert of 10 bands, conducted by Sir Arthur Sullivan, at the Royal Albert Hall in 1900 for veterans of the Boer War. These massed band concerts were to become a much-loved post contest feature of the National Brass Band Championships, which he instigated at Crystal Palace and then moved to the Royal Albert Hall. Iles had promoted a world tour by the famous old band, Besses o' th' Barn, from Manchester and while with them at Coney Island, New York he bought the UK rights to a dream train which he had built at Blackpool Pleasure Beach. He went on to purchase a small pleasure garden in Margate in which he invested significant sums of money to make Dreamland which has just recently taken on a new lease of life after a successful council - community partnership. The amusement park empire was extensive including many in the UK and also Barcelona, Paris, Berlin, Cairo and St Petersburg. John Henry had worked in his father's grocery business and also a timber mill locally before turning to publishing including "The Cyclist's companion and road guide for Bristol". He was a successful amateur singer and played 3 times for Gloucester CC alongside WG & EM Grace but was advised to choose between cricket and his other endeavours! 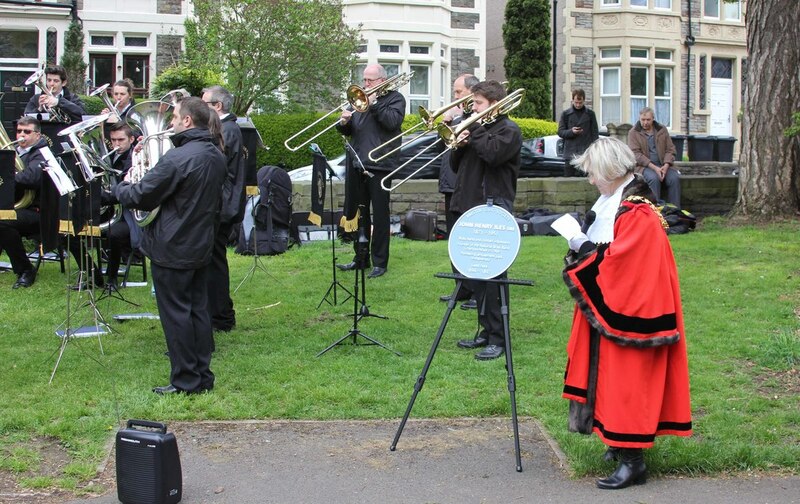 The ceremony, which was facilitated by the Worshipful Company of Musicians (who award the Iles Medal for services to brass bands), was attended by his grandson and great granddaughter as well as members of Bristol Civic Society who designed the plaque and arranged the installation. ​Band Chair, Steve Ellis, commented "This has come about through a chance conversation between one of our members and his former neighbour, who had been researching the inventor Gordon Iles and became interested in his father John Henry. The band are delighted to have been able to help see the project through and mark the occasion with a short concert for this important local character who did so much to promote and develop brass bands in the first half of the 20th century. 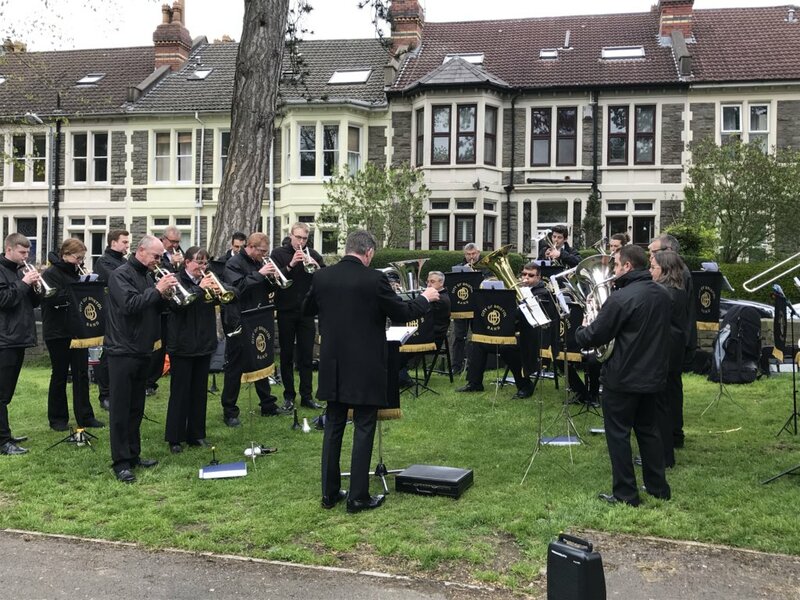 The City of Bristol Brass Band are to perform at the unveiling of a blue plaque in honour of one of the most significant figures in brass band history. John Henry Iles was born in Bristol and the band will be playing at the ceremony outside his matrimonial home on Sunday 29th April. A colourful and diverse entrepreneur, Iles was one time owner of the British Bandsman, R. Smith & Co. and the founder of the National Brass Band Championships. He was also highly successful in the Amusement Park business and became owner of Belle Vue Gardens and Zoo, Manchester and also the British Open Brass Band Championships. 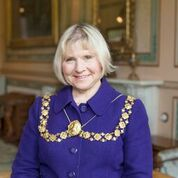 ​The ceremony will be attended by members of the Worshipful Company of Musicians (who award the Iles Medal for services to brass bands), his grandson and other family members, with the unveiling to be completed by the Lord Mayor of Bristol, Counsillor Lesley Alexander. Band Chair, Steve Ellis, commented "This has come about through a chance conversation between one of our members and his former neighbour, who had been researching the inventor Gordon Iles and became interested in his father John Henry. The band are delighted to have been able to help see the project through and mark the occasion with a short concert for this important local character who did so much to promote brass bands in the early 1900s". ​The event takes place on Sun, 29th April at 3pm in St Andrews Park, Sommerville Road, Bishopston. Please be aware that there is a new phone number, should you wish to contact the band for any reason. Please call Pete on ​07495 292667. B flat Bass Player needed! Our B flat Bass player is looking for another player to keep him company. We rehearse every Friday night from 7.45pm in Bishopston, Bristol. We are a social band who compete in the second section. Please contact us in strictest confidence here on our website or by phoning Pete on 07803 147603 or through Facebook or Twitter. 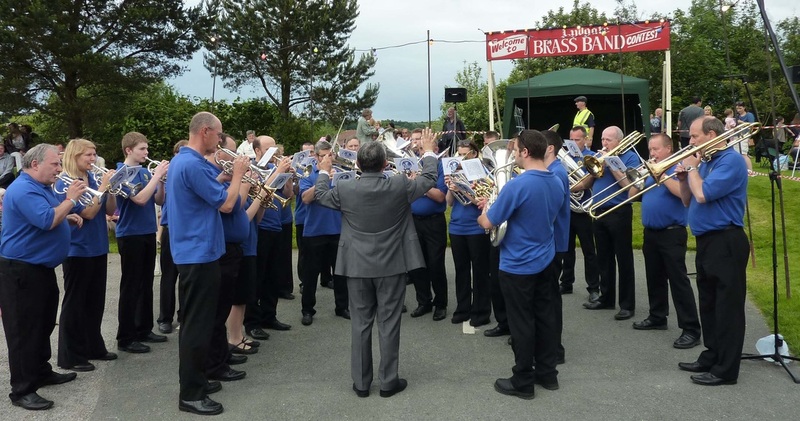 After an absence of 3 years, the City of Bristol Brass Band returned to the Gloucestershire Brass Band Association's Entertainment Contest yesterday. The challenge was to play a twenty minute programme to an open adjudication and this year trombone soloist Brett Baker was the man of power. There were many prizes on offer and we were not disappointed with best soloist given to our soprano cornet player Andy Briggs (who played Live and Let Die), highest 2nd section band and third overall. Overall results were: 1: Abergavenny; 2: Forest of Dean; 3: City of Bristol; 4: Cinderford; 5: Wotton Silver; 6: Stourport-on-Severn and 7: Pillowell.